Showing off those painted toes and cool sandals takes a little work. When your feet are smooth and callous free, you feel great and look better than great! We have a cream for that…..
An insanely refreshing treat for your feet! 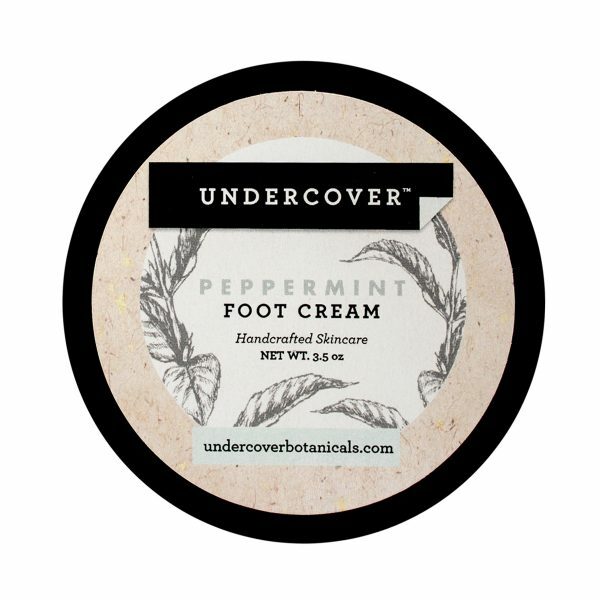 Ultra rich shea butter makes a perfect soothing cream to massage into feet keeping them silky soft and hydrated. Our pure essential oil blend will keep you smelling fresh and minty. Ingredients: Distilled water, soybean oil, shea butter, emulsifying wax NF, stearic acid, vegetable glycerine, peppermint essential oil, rosemary essential oil, lavender essential oil, anise essential oil, phenoxyethenol, caprylyl glycol, sorbic acid, yellow 5, blue 1. Contatins peppermint oil, keep away from eyes.